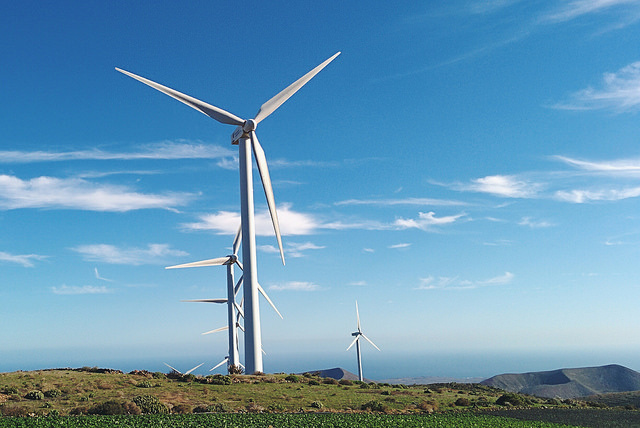 The European Union yesterday (4 March) took a step to reduce its energy dependence, especially on Russia, seeking instead to improve connections between renewable energy giants Spain and Portugal, and the rest of Europe. The European Commission has also launched a initiative to attract €100 million of investment to help complete the EU energy market. EU energy ministers are meeting today (5 March) in Brussels to discuss the plans for the Energy Union, the project designed to bolster the bloc’s security of supply. The executive is keen to complete a single European energy market and has cited conflict between Ukraine and the main EU energy supplier Russia as a key reason to invest in infrastructure that can maximise alternative supplies. At a summit, the leaders of Spain, Portugal and France sought how to transit to the rest of Europe the spare energy produced south of the Pyrenees mountains separating France from Spain and Portugal. While lacking in oil and gas, the two nations have strongly developed renewable energy sources like wind and solar power. Portugal generates about 25% percent of the energy it produces from renewables, while Spain generates some 17%. During peak production periods, the two nations have surplus energy, but the lack of connections over the Pyrenees means the surplus is lost. The summit agreed that a “high level group” would step up efforts to develop energy interconnections in southwest Europe and ensure that all planned projects are finished on time. “Today we have started a unique process in regional convergence in energy and I would like to see more in all of Europe,” Commission chief Jean-Claude Juncker told a news conference at the end of the summit. Brussels wants cross-border links to equate to at least 10% of a nation’s power generation capacity by 2020, and some of the projects would be financed by the €315 billion Juncker investment plan. The construction of an underwater power line in the Bay of Biscay linking Spain and France is one of the projects awaiting financing. Britain, Ireland and Italy also suffer from low connection capacities with the rest of Europe which the Commission would like to change. At a meeting of EU leaders in October last year, Spain and Portugal pushed for a 15% interconnectivity target. But instead, EU leaders renewed their commitment to a 10% interconnection target agreed in 2002. This is an objective the Commission itself admits is insufficient in the long run. Europe’s energy vision for 2030, based on a 27% share of renewable energy, “requires more than 10% interconnection capacity”, the Commission remarks in its communication, saying “all efforts by the EU and member states must be guided by the need to reach at least 15% by 2030”. The EU’s executive has estimated that about €105 billion is required to upgrade Europe’s aging electricity infrastructure, with €35 billion needed for cross-border interconnections alone. Today (5 March) the Commission opened the annual call for proposals under the Connecting Europe Facility to help finance key trans-European energy infrastructure projects. €100 million will be made available for projects aimed at ending energy isolation, eliminating energy bottlenecks and to complete the European energy market. This European money will also act as a catalyst for securing additional financing by private and public investors, in a similar way to the Juncker Plan. The Juncker initiative will use €21 billion of public money as risk guarantees in a bid to unlock €315 billion of private investment. With a total of €650 million for grants foreseen in 2015, this is the first of two calls planned for 2015. The deadline for applications is 29 April 2015. A decision on the selection of proposals to be funded is expected for mid-July. This call for proposals follows up on the Energy Union strategy and the interconnections communication adopted on 25 February, the Commission said. Last year, the EU Task Force on Investment warned that regulatory, financial and political obstacles can delay or prevent funding for vital infrastructure for the Energy Union. EU leaders will discuss how to speed up infrastructure projects through more co-operation at their summit on 19-20 March. Today’s meeting of EU energy ministers will feed into those talks. That meeting will be dominated by debate over the Energy Union, which was launched last week. >>Read: Will EU states play ball on Energy Union? You can watch a Commission video explaining the Energy Union below. When he was Prime Minister of Poland, Donald Tusk, spearheaded the idea of an EU Energy Union. The idea has since been taken up by the European Commission which nominated Maroš Šef?ovi?, Commission Vice-President in charge of Energy Union, to steer the project. The communication was published on 25 February and includes an annex of “concrete proposals”, including legislation, decisions and analysis. The Energy Union will cut across a number of policy sectors including energy, transport, research and innovation, foreign policy, regional and neighbourhood policy, trade and agriculture, according to the EU executive's plans. The Energy Union is the EU’s response to the Russian threat to its gas supplies. The majority of Russian gas imports to the EU, about 30% of its annual needs, goes through Ukraine. In 2009, Russia turned off the taps, causing shortages in the EU. Since then, the situation has worsened with the annexation of Crimea, the shooting down of the Malaysia Airlines flight by Russian backed separatists, and EU sanctions on Russia. Plans for the Union have developed beyond questions of security of supply to encompass issues such as fighting climate change. The 10% interconnection target is a central part of the Commission’s Energy Union package of proposals. Interconnectivity – of both gas and electricity grids – is seen as a key for EU member states to wean off their dependence on Russian gas and manage higher shares of variable energy sources. The 10% interconnection target can hardly be seen as new, having already been decided by EU leaders over a decade ago, in 2002. However, the target has remained elusive.